Is it safe to consume my placenta? It is our opinion that this is a personal belief. 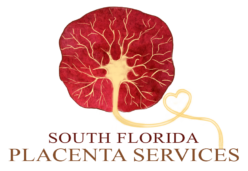 Most women who are considering placenta encapsulation consider it to be completely safe. There are no scientific studies proving either opinion. However, here's some some food for thought: humans are the only mammals that do not automatically eat their placenta after giving birth. Does it taste or smell bad? The placenta capsules do not have a taste to them but they do have a slight odor. If the odor bothers you I would recommend taking them with grape juice. Most women can get past the slight odor because of the potential benefits. How do I know I am getting only MY placenta? Typically we only have one placenta in our possession at a time so you don’t have to worry about it getting mixed up. In the case that we have two placentas in our possession at the same time, we am careful to complete the processing of the first placenta while the second one remains in a cooler on ice and clearly labeled. Once the first placenta is delivered and all equipment has been thoroughly sanitized, we begin processing the second. How soon after giving birth does my placenta need to be processed? It should be kept cold approximately an hour after birth, once it is in the refrigerator or on ice it can stay for up to 3 days. You will give us a call once you give birth and we will come pick it up within the same day. If you are unsure if you want to encapsulate your placenta just stick it in the freezer. What kind of benefits should I expect from ingesting my placenta? Most women report feeling an increase in energy, a boost in their milk supply, better mood, less anxiety and less weepiness. The placenta contains all of the hormones of pregnancy which your body has been relying on for the past 9 months, once you release the placenta after birth your body is quite shocked by the decrease in hormones. The supplements help your body by reintroducing the hormones and weaning your system off of the hormones rather than abruptly stopping the flow. What is a placenta smoothie? A placenta smoothie is made at the time of pick-up and offers immediate benefits while your placenta dehydrates and capsules are processed. It is a fresh fruit smoothie with a quarter sized piece of placenta in it. Women who drink the smoothie have never reported any foul taste. Everyone we have made smoothies for has raved about how delicious they are! A placenta tincture will offer lasting benefits well past when your capsules are all gone. A tincture is a small piece of placenta in 80-100 proof alcohol which preserves the placenta and strengthens the properties so just a small amount is used in order to reap the benefits. Carefully rinsing and cleaning the placenta of extra blood, clots, or any debris. Trimming the cord, which is dehydrated in a heart shape as a birth keepsake. Grinding the dehydrated strips into a fine powder. Filling capsules with powder, placing in containers and printing dosing instructions.